We assume you know you should never record someone without their permission. There are debates about the laws covering this, let’s just go with it being a bad idea and can come back to bite the person doing the recording. Many times, even well taken written notes do not fully express what was said in a meeting. Facial and voice changes to emphasis what is important and what may be short term solutions. Also, even the best keyboard person can fall behind or miss a point. One solution is to audio record the meeting. Audio files can be of manageable size, easily shared. And, a great way to go back and be sure there isn’t a difference between what someone thought they heard vs what was actually said. Several times, video has been attempted. While being a great source of review, the can be a need to clean up and the files have to be hosted somewhere. Making a full meeting video a size to be passed around the office will become much too low of resolution to see anything on a whiteboard in the background. Rather than shoot, clean, transfer, host, then share… there is a Free option ‘YouTube Capture‘. The universal app is handy on the iPhone and nice to have on an iPad. iPads are generally easier to have on a stand and seems to get less attention when used for recording than a person doing the same with an iPhone. 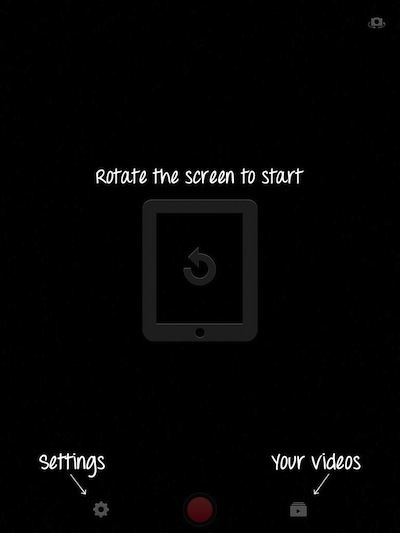 Like the name implies, the app makes recording a video and pushing it up to YouTube very easy. If the videos are for company internal viewing only, be sure to set up the YouTube account for that in advance. To help get the video right from the start, YouTube Capture offers the tuning in advance of recording rather than having to apply filters afterwards. 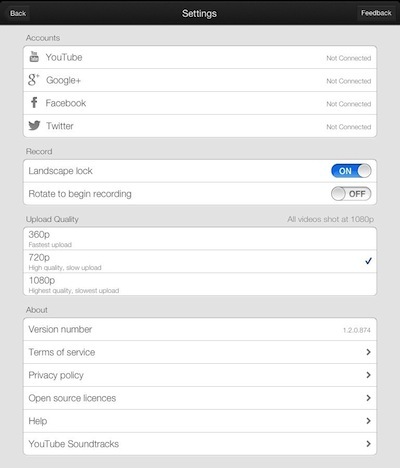 Settings start off with the option to share the YouTube Capture created video links out to many social services when those recordings are private to the company. Also, there are a variety of recording quality options for quality vs size decisions.